This is the first in a series of interviews of graduates of the Certified Positive Psychology Coach® Program. Many have fascinating coaching careers and will share some of their secrets with you. Look for this tag: CPPC Graduates. Welcome to the Interview with the Positive Speech Coach, Valeria Pittaluga, CPPC, Italy. 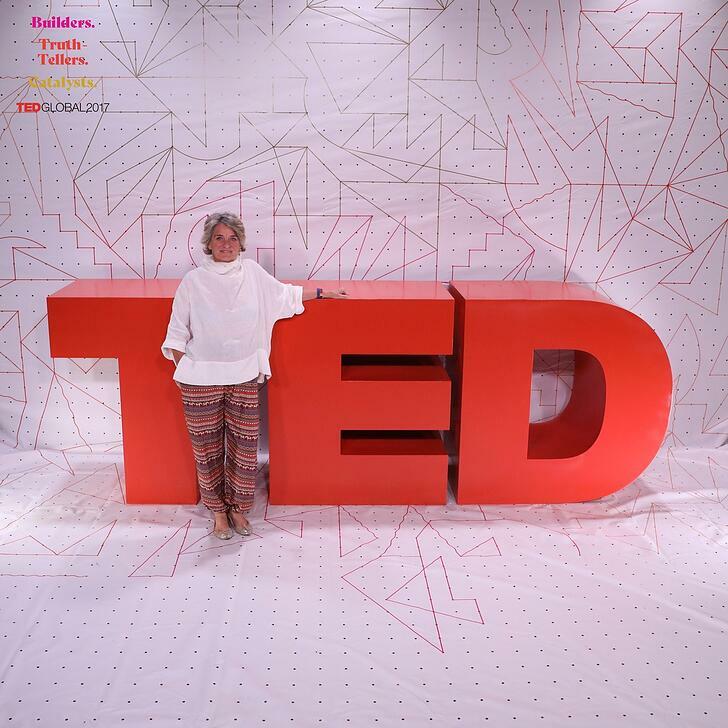 Valeria specializes in coaching TED Talk speakers with positive psychology. There are two parts to the interview. Audio, for those who prefer to listen, and written, for those who prefer to read. Different questions for each. Explore as you like! Valeria, are you currently coaching professionally? Yes. What's your specialty? I mainly coach public speaking, but life coaching inevitably mixes into it. What else do you do besides coaching? Organizing my own TEDx event. TEDx Lucca. What positive psychology coaching tools do you find most useful for your clients? Visualizations of the end result. The joy of the celebration that goes with the met goal. The excitement of extrapolating the golden nugget of one's true message from the rest of the "noise". Expanding and deepening the insights and inspirations and where they naturally stem from. The focus on the tools already intrinsically available to the speaker to perform without anxiety. Which of your strengths do you find most useful in coaching your clients? My gift of innate enthusiasm. It's my greatest asset. What project or initiative are you working on that you're most excited about? Right now the coaching of my nine speakers in both Italian and English. I love it! How has becoming a Certified Positive Psychology Coach® helped your career or helped you serve your clients? My training in Positive Psychology has propelled me forward in my Coaching training. It's the most intuitive and logic path to excellent Coaching. Coaching with a positive and constructive spin to it is as powerful and empowering as it gets! What else have you studied since graduating as a CPPC? I've explored Voice Dialogue and systemic constellation Coaching as well as Emotional Intelligence Coaching. I've also gone into depth in NLP Coaching. Have you earned a new credential from ICF since graduating as a CPPC? Yes, I pursued my ACC certification with ICF. Have you earned any other credentials since graduating with your CPPC? I'm a trained trainer for the "5 chairs 5 choices" method for executive coaching in companies. The method is carefully crafted around the non-violent communication teachings of Marshall Rosenberg. What's next for you as a positive psychology coach? I'm interested in neuroscience and how meditation and silence heals and enhances the human experience. Do you have a quote you’d like to share? Never stop starting over. What else would you like people to know about you and about what you do? I would like people to know that coaching for me is a mission and though this might sound wishy washy, I aim to spread the importance of mindfulness and non-violent communication in every way I can. Nothing wishy washy about that! Every coach has a career as unique as they are. If you'd love to enjoy as much passion and fun with your coaching career as Valeria does, consider joining the Certified Positive Psychology Coach® Program.